that shines light on important issues facing women in India today. A strong heroine uses her musical talents to escape a life filled with pain in India’s sordid slums. Author Fiza Pathan’s AMINA: THE SILENT ONE effectively creates an environment that most are not familiar with – the harshest, most unlivable slums of India. Pathan’s use of her well-developed protagonist shines light on elements of misogyny, human trafficking, and abuse. This story follows the life of one family who are faced with financial ruin when they give birth to another daughter (which means another dowry to pay when she is married off and no additional money brought into the home because she will likely never work). The baby is named Amina, and the parents learn to treat her with respect after receiving sage advice from a trusted family friend – that girls are just as valuable in their families as boys. 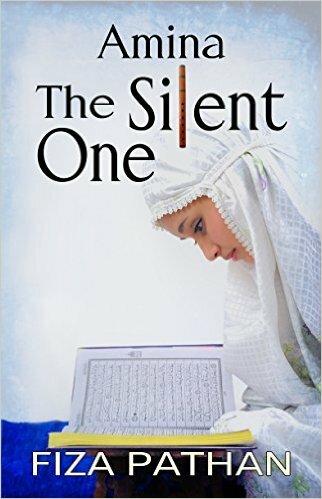 …..
Pathan’s strength is her ability to perfectly describe the slums Amina’s family lives in. Whether it’s the horrible odors of the neighborhood, the trash heaps lining the streets, or the cramped quarters of the shanty that the family lives in, it is easy to picture the setting where Amina spends her days. Pathan is also able to effectively cultivate a character that is natural to root for – Amina deserves to be appreciated for her musical gift and not denigrated simply for being a woman. In the novel, Pathan successfully shows the dichotomy of being a woman in this culture; they’re forced to undergo many tragedies but often do not receive any appreciation or even protection from dangerous outside forces.